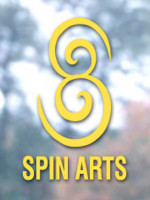 If you're looking for coaching, skills, the best courses and races, or help with race production and course design, Spin Arts is synonymous with cyclocross. Founder, Organizer 1983-1999; Technical director to present. Super Cup Cyclocross Series: Event promotor in 1996 (Sterling MA), and 1997, 1998, and 1999 (Devens MA). Promotor 1995 (Leicester), 1998 (Devens), and 2005 and 2006 (Providence). Promoter and technical director 2008-2011. Wompatuck Cyclocross: Promotor 1983-1994 (1-2 per season). Plymouth Cyclocross Stage Race: Promotor 1983-1994. Baystate Cyclocross: Promotor 1983-present (Hingham, Lancaster, Fort Devens, and Sterling sites, 2004-present as UCI event). Fort Devens Cyclocross: Promotor 1988-1999 (1-5 events per season). Southern Maine Cyclocross: Promotor 2002 and 2003 (Biddeford, ME). UCI event: Promotor 2000-2005 (Auburn and New Gloucester, ME). Super Cup Cyclocross Series: Technical director 1998-2001. U.S. National Cyclocross Championships: Technical director 2000 and 2001; assisted in production 1983, 1988, 1991, 1999. 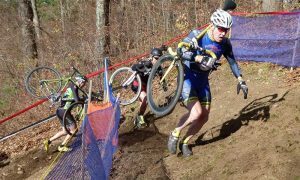 Blue Steel Cyclery Kickoff Cyclocross clinic.